I see that the latest TQSL is V2.4.3. I currently have 2.3.1 installed which is what synaptic has available for my Mint 19.1. A tar is available but with my limited Linux skills I have no idea how to compile and install it. Can someone help with a step by step procedure on how to compile and install the latest TQSL or point me towards one? V 2.3.1 seems to work fine for me but I would like to have the latest installed if I can figure out how to do it. I just tried to go that route. Seems on my Mint 18.3 tqsl is missing some uninstallable dependencies. 1. Unpack the tarball to a directory in your homedirectory. Remember where! 2. Now find the tqsl 2.4.3 folder (directory) you just created by unpacking. 3. Rightclick on the folder and choose "Open in terminal". 4. In the terminal, type "Cmake . " without the quotes. If you get an error that cmake could not be found: type "sudo apt-get install cmake". Again, without the quotes. 5. If all goes well, type "make"
6. If no errors occurred, type "make install"
Mind you, after the typed commands, hit "enter". And while typing, forget the quotes, also where i didn't mention that. Also, between cmake and the dot is a space. Might not be clear when you read this. Maybe you can copy the commands from here and paste them in the terminal. My previous post was saved in the wrong text format. Sorry about that! I too had problems updating TQSL to the latest version. I’m a newbie to both Linux and CQRLOG. Wanted to update mainly because TQSL version 2.3.1 did not work without errors within my setup. First thing recommended in troubleshooting TQSL/LoTW issues is to update to the latest version which Bill points out is 2.4.3. Bill and I have the same setup using Linux Mint 19.1 so his posted question fit my particular situation perfectly. Using Tjalling’s suggestion of unpacking a tar file (downloaded from the ARRL) I was eventually able to successfully compile, but the suggested “make install” command failed. During the compile process (cmake .) there were several (5 in all) dependencies which the process “could NOT find” which caused errors in each “cmake .” attempt. Using the Synaptic Package Manager these missing files were successfully installed one at a time. Once these dependencies were installed it finally completed the compile process without error. However, it failed to install because of the error “file INSTALL cannot copy file “/home/ham1/tqsl-2.4.3/src/libtqsllib.so” to “/user/local/lib/libtqsllib.so”. I tried to copy the file myself to the desired folder only to have it report I did not have permission to move the file there. After considerable research time on line I was able to solve the error by adding “sudo” in front of the “make install” command. Leave a space between sudo and make, “sudo make install”. This addition overcame the “permissions” issue. After the install process was complete I opened the TQSL app and to my surprise, and relief, it was the new TQSL version. Success! Unfortunately the new TQSL version didn’t fix my ongoing issues with the LoTW upload/download error. This was finally remedied when I installed the proper password LoTW was expecting to handle data to/from their server. Hope this helps others out that are struggling with updating TQSL. Thanks to Bill and Tjalling for their posts. Now here is an "oops" from my end. Indeed "sudo make install" should be used. I am sorry for my, seemingly, too fast answer. Also, my post was inadequate when it came to the dependencies. In Synaptic, always install the xxxxx-dev of what is missing. I did not mention the dependencies because they may differ from one installation to another. But Bill never replied back so I was under the assumption that all went well. Now, when someone finds this thread, all information is present. Thanks to you Lonnie. I’m not sure, but the errors may indicate the “cmake .” command cannot find the necessary files to compile. I created a new folder and named it TQSL. Downloaded the Linux tar file from the ARRL website and moved the downloaded file into that folder. Right click on the “Tqsl-2.4.3.tar.gz” file and select “Extract Here”. This will create a new folder called “Tqsl-2.4.3”. Right click on that newly created folder and select “Open in Terminal”. Then type your “cmake .” command. Hopefully the process will complete without errors, but if it does you can load the dependencies that are missing. Try this first to see if your current errors go away. I am new to Linux and compiling so I hope someone will weigh in on this too. In the meantime I’ll try to help. After you extracted the tar file into your new folder did you find 15 items in the new Tqsl-2.4.3 folder? I have 5 folders and 10 other miscellaneous files. Do you have the same thing? If not that may be the problem area. Below are the first few lines of my terminal log after the successful “cmake .” command was entered. Comparing your log with mine notice your second line does not know “The CXX compiler identification is GNU 7.3.0”. It is unknown in your log. Then the log matches your terminal log until it gets to the line that says ”CMake Error at CMakeLists.txt:3 (project)”. Your log points out that “No CMAKE_CXX_COMPILER could be found”. The suggestions contained within the error log must be clues to solve this error, but I’m not knowledgeable enough to know what they mean. However, I’m going to take some time to see if I can figure it out. I stand corrected. I was looking in an old folder I used for testing. Once I was looking in the correct folder, I too have the “cmakefiles” folder and more additional files. Moving on, I still feel a compiler file is either missing, in the wrong directory, and or the wrong path. Many articles with many answers all worth reading and trying. I would not want to suggest anything for you to try because I would not want to be the one to break your system. I remember adding many missing files and a variety of packages in order to get my CQRLOG, WSJTX, and rig control to work. Unfortunately I didn’t keep a log of what I added to my clean Linux install. Perhaps I inadvertently added something that allowed my compile to work for upgrading my TQSL. “build-essential”. I have version 12.4ubuntu1 installed. The reason I ask is this package is mentioned several times in dealing with compiling. Also search and check “cmake”. My installed version is 3.10.2-1 ubuntu2. Some have suggested to delete the build directory contents in order to get the C++ Complier to update?? I have no idea the process or the merits for eliminating directory contents. Sounds like a good way to mess things up. Good luck with your journey. Hopefully someone will add a comment that will be beneficial in solving this error. If I find something worth mentioning I’ll post it. Once you solve the problem it would be good to post your solution for others to follow. Bill, curious if your Linux has the same versions as my system. Below are three terminal commands that I ran in my home directory to see what versions I have installed. Wonder if you have the same ones as I do? From your error log we know the CXX complier is “unknown” and that CMake needs to be told where the CXX complier is located. Basically the clues to solve your compile errors. Below are three commands I ran on my system which returned the location of each compile file. All are located within the /user/bin/. What does your system indicate after running the same commands? Okay, your compile files are in the same place as mine. Something is different between our systems so will keep looking. There are several references on line to a program that is important for compiles to work called “build-essential”. I checked and I have it on my PC. All this does is update the package lists to indicate the newest version. This command does not update any applications. This command will install “build-essential” which in my case is already installed and it informed me it is the current version (see below). If you don’t have it, it should ask you first if you want to install it. May be helpful to check and possibly install on your system. 0 upgraded, 0 newly installed, 0 to remove and 15 not upgraded. But I do have CURL installed so not sure why I'm getting this error. here are a bunch of other CURL libraries in synaptic but don't know which one I need. I checked my system and I have more than one CURL loaded. I’m not sure which are needed. That did it! I installed "libcurl4-openssl-dev” and the last library asked for which was "wxwidgets" and TQSL installed OK. Thanks so very, very much for all your help! Very relieved to hear TQSL finally compiled for you. I was happy to help and learned a lot through the process. 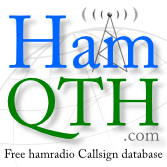 Thank you for posting your question and for Tjalling’s response as I was able to update my TQSL which was not working properly. So far I like Linux as it has given my old HP PC new life. Glad CQRLOG was available for logging my WSJTX QSOs. I have my PC setup to dual boot, but not sure I’ll ever boot Windows up again.